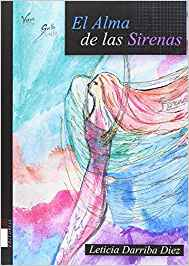 The writer and poet Leticia Darriba Diez was in the Luzarra Space to present her first compilation of poems in the book entitled “The Soul of the Sirens”. Representatives of the ‘Agalir Ediciones Solidarias’ Publishing House, attended the book launching event. To discover this “soul”, some of the poems were represented with a combination of poetry, theater and dance. 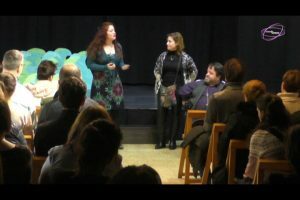 The staged poems were: “To the Boss”, “Eclipse”, “Mermaid’s Soul”, “The Sea in Love, Morgana” and “The Revolution of Tenderness”.